Hitesh Sharma, junior, discusses the issue of ignorance towards other cultures. 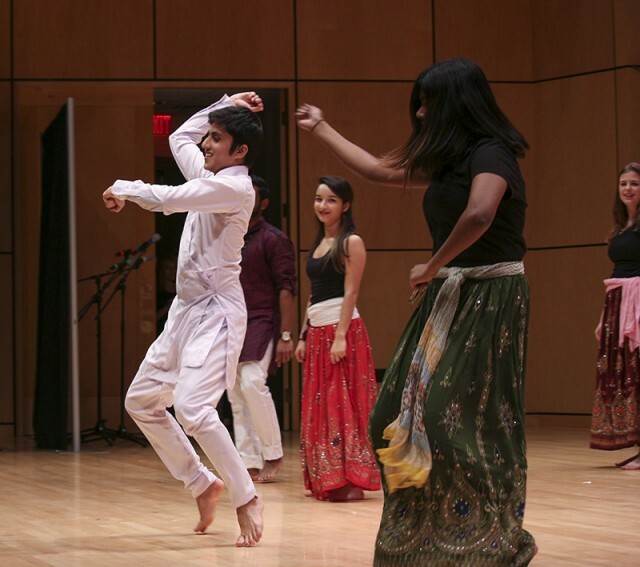 Last Saturday, as happens every year at the ISC Coffeehouse, there were cultures crossed and bridges built. If you were able to come to the ISC coffeehouse dinner and/or show, you know what I am talking about. Attendees got a taste of different cuisines from around the world at the dinner and greater insights into their friends’ cultures at the show. First, I want to sincerely thank everyone who made time for the show, because you not only helped the International Student Club, but you also helped the Syrian Refugees, who need your help and voice. If you were not there, that is unfortunate because you missed some amazing food, country presentations, cultural performances and Skip being funny. You also denied yourself some delicious Spanish tortillas, Nepali chicken and Arabic Salad. What could be more important than that? In fact, I would have missed my health appointment to see Aritha host the show. But hey! I am willing to forget your indiscretions if you promise to book tickets for next year’s show in advance. Okay. I will be serious now. Forgive my futile attempts to be funny. I thought I would be like Aziz Ansari or Chris Rock and strategically convey a social message cloaked in humor, but it is easier for me to be a jerk and “tell it like it is” (like one of the presidential candidates). I want to begin by telling you to learn about other cultures and religions. It is almost mandatory at this point. My Facebook was once full of hot selfies (mostly mine, obviously), pictures and posts of people drowning in their own vanity. But now it is plagued with misinformed, inaccurate religious and cultural rants. While I very much enjoy logging into Facebook and seeing people having a very professional and peaceful debate about certain issues, it saddens me to see so many people, including some of my own friends and relatives, being influenced by this inaccurate rhetoric and advancing bigoted ideologies. I grew up with Muslims, and it really upsets me when the media labels my friends as “terrorists” and attack their religion. I get a “mini heart attack” every time I see people signing petitions to keep refugees out of the United States. They are completely unaware of the fact that the refugees are actually the ones trying to flee the terrorism and authoritarian governments, and that there is actually a vetting process before they are allowed to enter any country. I think a part of my soul dies with every inaccurate piece of information spread by a large majority. I see atrocious articles like “25-30% of the Muslims are terrorists,” “Mexicans bringing drugs and unwanted languages into United States,” or “Facebook will donate $1 every time you like and share this post and comment.” I cry for humanity’s lack common sense. I just want to echo her words, and say: don’t let the political rhetoric and misinformed media deceive you. Learn about other cultures and religions. What is the point of having friends from 30 different countries if you don’t know anything about them or where they come from, besides the incorrect pronunciation of their name? ISC Coffeehouse, like Skip brilliantly put, is one of those events, which tries to build a bridge between different cultures and religions on campus. You may not learn a lot about other cultures, but you will certainly learn to appreciate beauty of diversity. I am glad I decided to go to ISC Coffeehouse. I loved all the food and performances. I can gladly flaunt some of the new facts I learned about Arab World, brilliantly presented by Sara. Along with this, I now know interesting facts about schools in South Korea and the geography of Paraguay. So, my honest request is: be informed. Build a bridge. Live and let live.